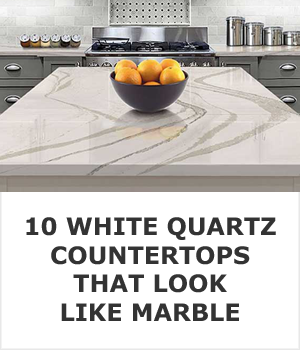 Do you want white countertops but don’t want to deal with the hassle of maintaining something as delicate as marble? 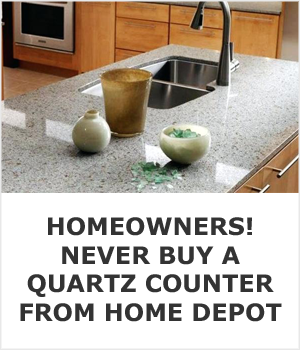 Then you’ve come to the right place because I have 10 white quartz countertops for you that look so much like marble you’d have to be a geologist to tell the difference. Let’s dive right in with my personal favorite, Lagoon from Silestone. Designer Vanessa Francis put Lagoon in her own kitchen. Lagoon is part of the Rivers series by Silestone. It’s available in different thicknesses, textures and finishes to help you achieve the exact style you’re after. 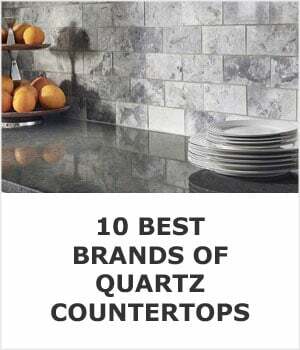 Silestone is a combination of natural quartz and other materials that come in different styles, including plain, fine grain, veined, and coarse grain. Finishes include volcano, suede, polished, and more. 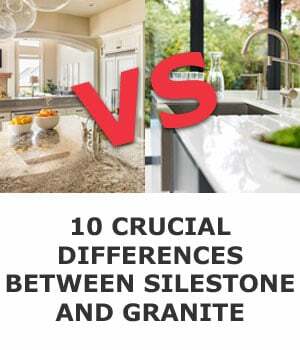 Silestone is very resistant to staining, even when it comes to coffee, wine, lemon juice, oils, and other things that can typically be bad news for more delicate stones. It’s non-porous, making it easy to clean and maintain, and to keep it looking as good as the very first day it was installed. Tranquility has a crisp, white marble look to it with a charcoal vein. 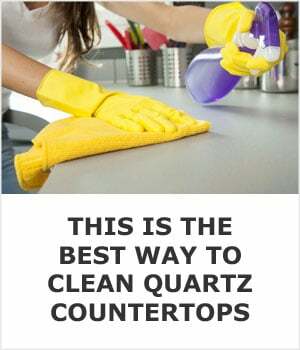 It does an excellent job of achieving the marble look, but with all of the benefits you can expect from quartz. It’s a part of their Cascina collection, which has some other options that may be worth taking a look at as well. You can see more examples of Tranquility here on Hanstone’s website. Tranquility comes in a polished finish, and looks incredible in a lighter kitchen where you still want a bit of texture in the design, or even as a contrast in a room with darker colors, such as a dark hardwood floor. Torquay is a part of the Marble Collection by Cambria, it’s a more complex pattern than Tranquility, in case you’re looking for something with more variation in the pattern. It comes with a full lifetime warranty, which is always a plus. 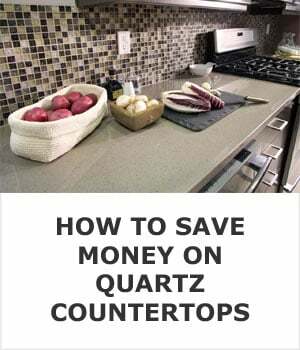 You don’t want to spend thousands of dollars on the countertop of your dreams, only to find out that something went wrong in the manufacturing process and it doesn’t hold up against the test of time. You can check out some samples to give you a small snapshot of what to expect, of course the larger pattern on a full slab will vary from the small sample size, but a sample is a good starting point. Brittanicca is another excellent marble-like design by Cambria but has very pronounced gray veining. 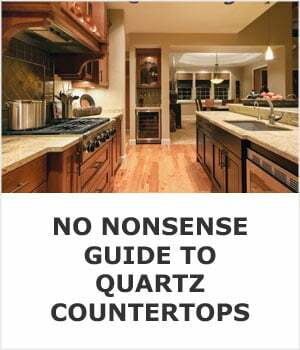 It carries with it the same warranty as the Torquay, and the same benefits you would expect from a higher-end quartz product. It’s durable, stain resistant, maintenance free, and food safe. There are a lot of other options to choose from, and all of the aforementioned brands have a variety of choices that look like marble. But these aren’t your only options, so pay a visit to your local fabricator and see what they have to offer. I bet you’ll be surprised by all the different options they have and how much money they can save you. 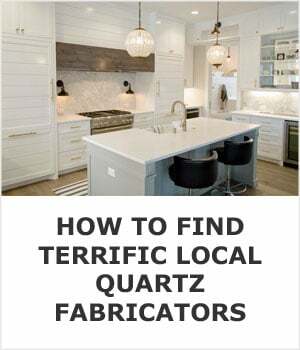 Not sure where to find a fabricator? I show you how to do that right here. 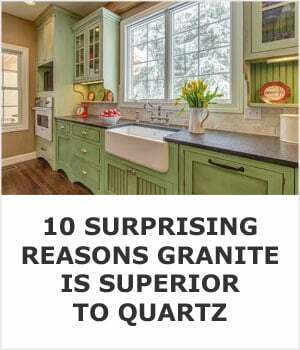 Is Quartz Really Better Than Granite?